The primary factors to observe before buying a plot:- Before buyig a plot one should take into consideration several factors. First of all, the location of the plot. Sites that are destined to knowledge, health or facilities, places to keep and honour the dead, among others, are bound to break the peace of residential areas. The direction of the plot is also of great importance as it will determine the best way to harness the cosmic energies. The 81 grid is an easy and accurate to assess this. The size of the plot as to be taken into consideration as well, especially in relation to the building, as the plot should be big enough to allow a free area all around the construction. The shape is also something to consider. Regular shapes are, per Vastu, more auspicious than irregular ones, and quadrangular shapes are the best ones. As the family/business is supposed to grow in time, so can the building, according to Vastu’s view, as it relates organically with those who inhabit it. In the case of having to do an extension of the building, or plot, one should be very careful as to always provide growth in the correct direction. Some other parameters are also taken into account while choosing the right plot, such as the presence of roads and their position and entrance in the plot/building, among others. Vastu Shastra guides us to protect from negative energies. How let us discuss: Positive and negative vibes are the abstract feelings of the surrounding forces. As per vastu-shastra, at one place you feel joy, bliss and pleasurable, that place is supposed to be full of positives energies while at some other place or meeting with some such individuals consisting of negative aura spread deprivation. The place where you confront low feelings, restlessness, anxiety, depression, irritation and short-temper are in excess is thought to be full of negative energies. The positive and negative energies are mainly created and triggered by the vastu, the science of architecture. The transformed facet of such energies is also regarded gravitational energy or magnetic or solar energy. Their transformation creates positive energy. Vastu shastra has many sources of resurrecting place. From vastu directions such as north, northeast & east, energies are evacuated by harming vastu directions which transform negativity in to positivity. Imbalancing of received energies harm vastu environment through negative energy creation. Ultimately, we receive that hazardous energy. Thus, imbalanced opposite forces raise trouble in our life and we begin complaining about it. Vastu Shastra gives us guidelines to protect ourselves from negative energy. The guidelines are to be property followed like for example, keep the east wall light as well as tidy. Drainage should be provisioned in north and east. Negativity abides everywhere, however, in low or high density, which requires proper cleansing via vastu solutions or remedies. Every thing, environment and creature, has its own aura, such as of table, tree etc. that defines its existence. In east facing shop, the cleansing of east and north phasing through cleanliness and exposure to the sun is requisite for reaping profit. As per vastu guidelines, north wall of the house is a big career of finance and opportunities. Cleansing of negative energies is essential since they keep rising throughout life. Hence, filtration of negative energy is must to nullify the affect of inevitable negativity. Kitchen in north triggers diseases in the house because positive energy coming from north is burnt out by the heat of gas-stove in kitchen of north. Daily mopping of the floor with the water dissolving sea-salt wipes put the negative energies from the house and surrounding ambience. Suppose that in a house the staircase is located in south-west, which is the best as per Vastu, then where the master bedroom should be located? Why? If there is no option to locate the master bedroom in the south-west direction, then it should be located in the south or west direction of the house. Otherwise, the same should be located in the south-west direction of the house. In all cases the master bedroom should be located in such a way that it becomes adjacent to the staircase. It is because, as per Vastu the south-west direction of a plot or building is the direction of earth element. The earth silently takes all the responsibilities of us by fulfilling all the requirements for our existence. According to Vastu, the earth is the heaviest and highest element among all the five basic elements in terms of its weight and responsibility factor. Vastu says, the south-west direction of a building or plot is the direction of seniority, superiority and stability and all these virtues are increased if it is kept highest and heaviest by constructing overhead storage, staircase etc. in this direction. Moreover, Vastu also says that the long term effect of this powerful direction makes a person attain the family’s supreme power. That’s why Vastu suggests placing the master bedroom in the south-west direction of a building in terms of placing the senior most member or the chief of a family whose seniority, superiority and stability are very much essential to run the family under his/her control. Again, from the scientific point of view if the staircase is constructed in the extreme south-west corner of the building such that it goes upward towards south- south-west and the master bedroom is located in the same direction adjacent to it, then the master bedroom will obviously protected from the sun’s harmful infrared rays coming from the west-south-west direction during the afternoon hours. Thus from the above Vastu rules of thumb as well as the above scientific logic it is prominent that in such cases the master bedroom should be located in the south-west, south or west direction of the building as per feasibility. SEARCHING THE BEST VASTU CONSULTANT IS AN ACT BUT FINDING THE BEST VASTU CONSULTANT OR BEST VASTU EXPERT WHO HAS EXPERTISE IN VASTU CORRECTIONS WITHOUT DEMOLITION IS NOT AN EASY TASK. VASTU FOR HOUSE, VASTU FOR FACTORIES & VASTU FOR OFFICES ARE VERY SPECIAL....... Always choose the best consultant. Choosing the best consultant is an unmatchable ability. Vastu Shastra is becoming very popular now a days & so is the awareness about Vastu. Similarly people are looking for the best vastu consultants in Delhi & Delhi NCR like best Vastu consultants in Ghaziabad, Best Vastu experts in Gurgaon & best Vastu experts & consultants in Noida. Even in Faridabad too people are searching the top most Vastu experts in the city. We have multi-faceted approach to Vastu remedies. The Vastu expert & Best Vastu experts: Dr. Anand Bhardwaj, the world famous Vastu consultant & Vastu expert also expertise in Vastu corrections without demolition. Vastu covers the Muhurata’s topics nicely. It has covered the traditional ways of Vastu. Muhurata’s have their own logics & significance in Vastu and covers beyond Vastu. It has covered Shukla & Krishna paksha and explained why any auspicious work is not started in Krishna paksha. Dev- Shyan period is explained why it is important. Even Gods need rest and we are not suppose to disturb them. Dev-Shyan period starts from July. Importance of Uttrayan& Dakshinyan are explained. Periods of these two are explained. 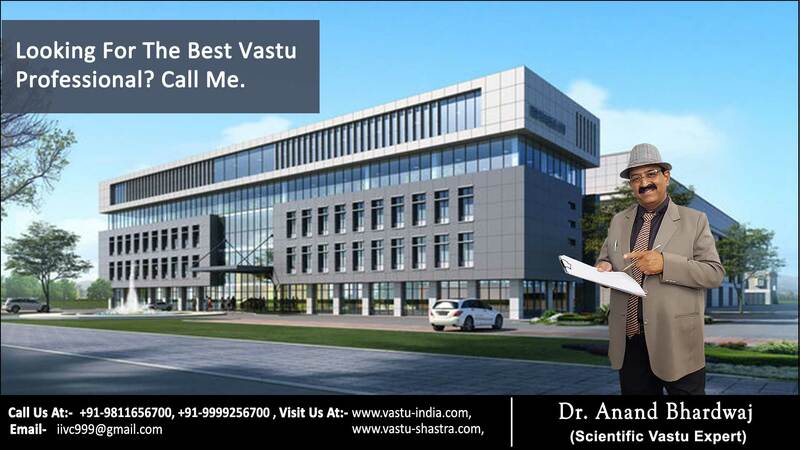 The learned & intellect Vastu consultant like Dr Anand Bhardwaj is always open to address your queries. Vastu Shastra is becoming very popular now a days & so is the awareness about Vastu. Similarly people are looking for the best vastu consultants in Delhi & Delhi NCR like best Vastu consultants in Ghaziabad, Best Vastu experts in Gurgaon & best Vastu experts & consultants in Noida. Even in Faridabad too people are searching the top most Vastu experts in the city. We have multi-faceted approach to Vastu remedies. Your all consultants should be highest qualified. The Vastu expert & Best Vastu experts: Dr. Anand Bhardwaj, the world famous Vastu consultant & Vastu expert also expertise in Vastu corrections without demolition. Logical reasoning is very crucial to find & explain. Vastu gives idea about the location of foyer, drawing room, reception and guest room. The best location for these rooms is in the north or west direction. The north, east and north-east are the second best options of these rooms. As a last option south-east direction can be considered for these rooms. Similarly people are looking for the best vastu consultants in Delhi & Delhi NCR like best Vastu consultants in Ghaziabad, Best Vastu experts in Gurgaon & best Vastu experts & consultants in Noida. Even in Faridabad too people are searching the top most Vastu experts in the city. We have multi-faceted approach to Vastu remedies. Your all consultants should be highest qualified. The Vastu expert & Best Vastu experts: Dr. Anand Bhardwaj, the world famous Vastu consultant & Vastu expert also expertise in Vastu corrections without demolition. Logical reasoning is very crucial to find & explain.